My sister-in-law and good friend, Ronda, fell off a ladder, landing on their ceramic tile floor. She broke her ankle and leg bone 8 weeks before school began . . . Did I mention, she's a 1st grade teacher? 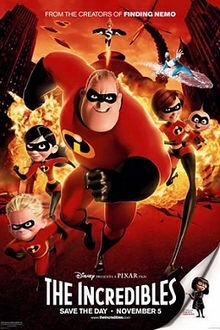 The theme Ronda chose this year is a spin off on THE INCREDIBLES. It's a really great way to boost the children's self-image by letting them see how incredible each one is with their own unique looks, talents and giftings. It's also a very creative way to share how God sees each child without getting in trouble with the school board! Ronda is still using a wheel chair because of the severity of the breaks, so she asked me to make her an apron to carry her pens, pencils, notebooks etc., while teaching. 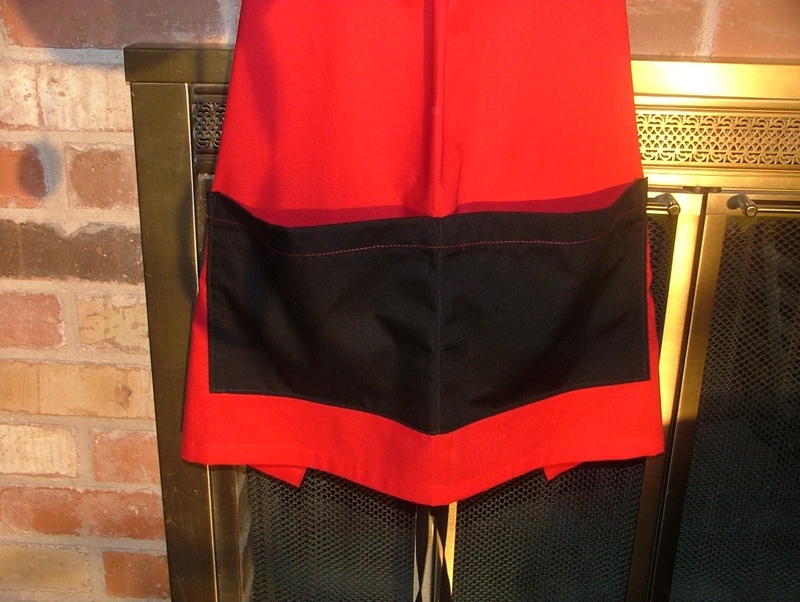 She had one stipulation ~ I needed to make the apron using THE INCREDIBLES' color scheme. 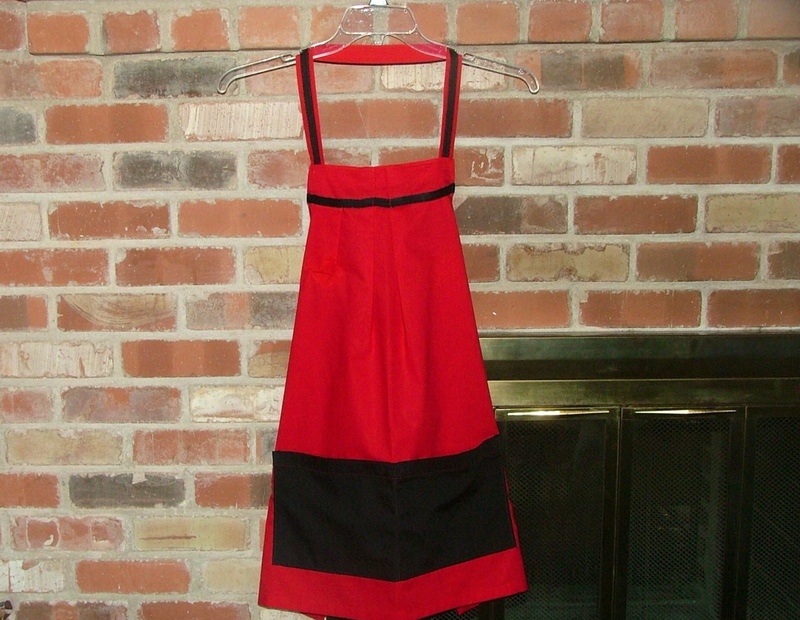 I wanted the fabric to be sturdy, but lightweight, because our weather is downright hot this time of year! And, I wanted the fabric to be permanent pressed so she (actually her husband, Scott) could just toss her apron in the dryer and it would come out looking great! It took a little thought, but I think I've come up with the perfect apron that meets all of our criteria! Place for pens or reading glasses on the left (her right) . . . Opening discretely hidden beneath the black trim. A pleat in the center for us chesty girls! 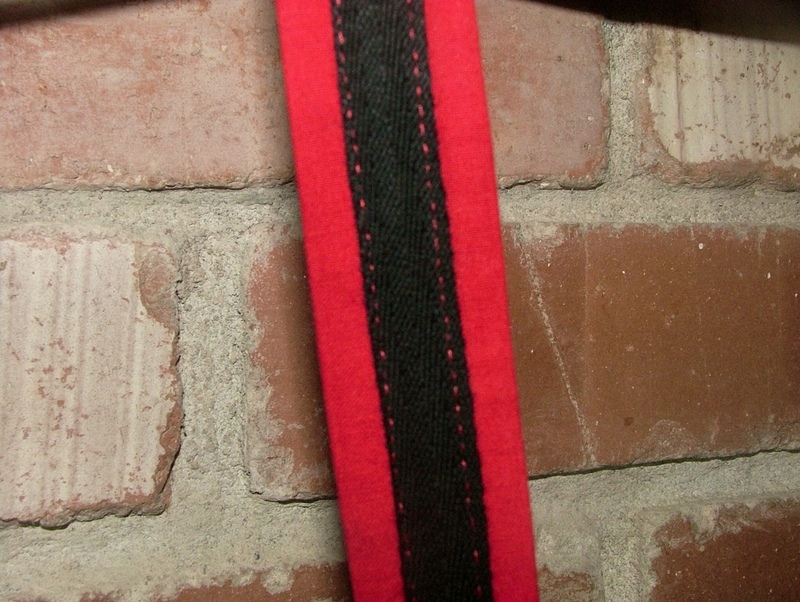 Black trim on red neck strap with detailed red top-stitching. 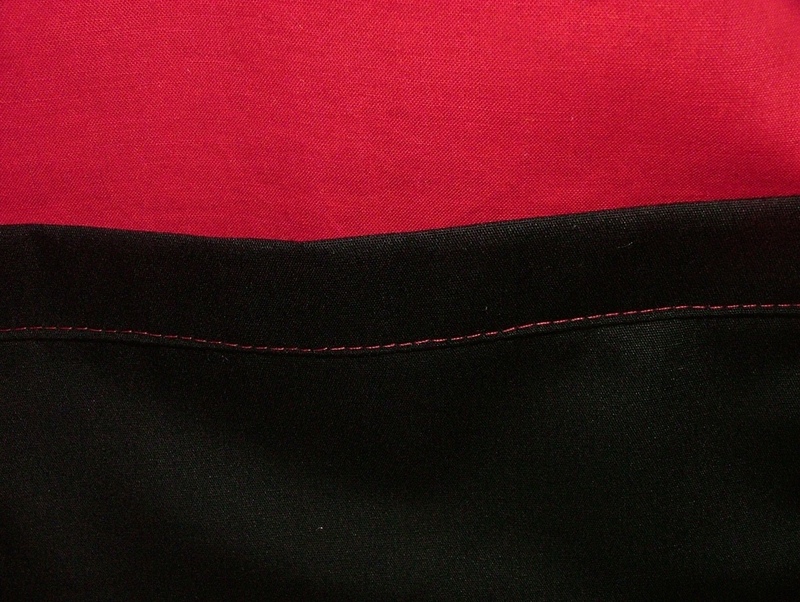 Two large side-by-side pockets in black with red top-stitching. I put the 2 large pockets so they can be easily accessed by someone sitting down (like in a wheelchair). 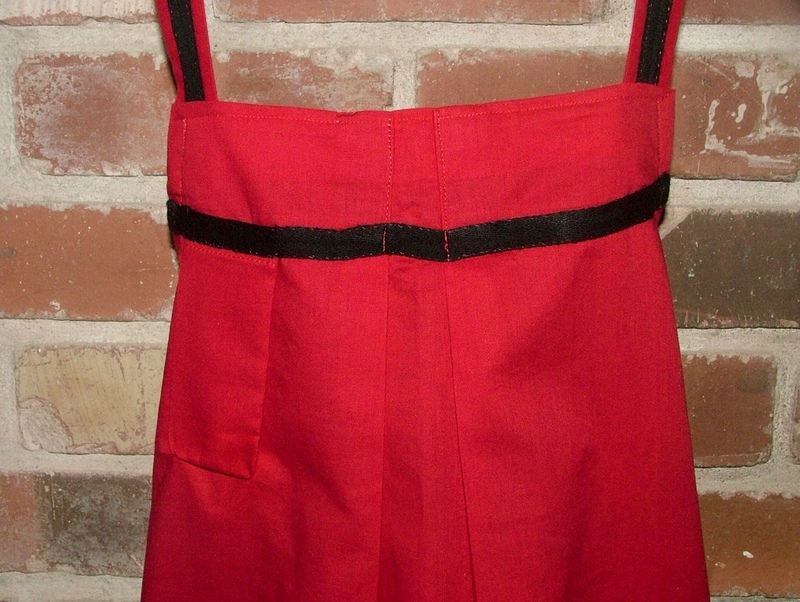 I think Ronda will look great in this apron and my original design looks "INCREDIBLE" . 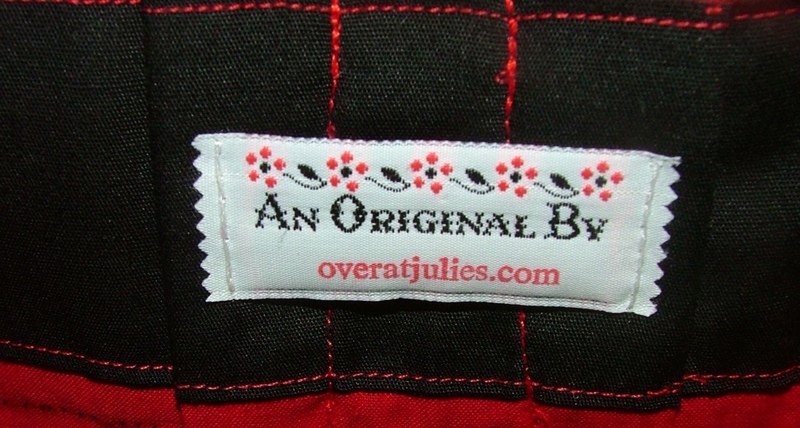 . . Over at Julie's!!! You are so welcome! Hope this apron a helpful aid during your "sitting down time" as a teacher, and also a fun apron for cooking up INCREDIBLE meals and memories for your family!